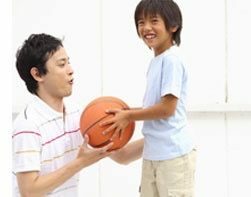 This gym and party place was founded and created by an experienced elementary and secondary teacher and mother of two children, so that you can practice some necessary ball skills with your kids. Enjoy! NO nuts or peanuts allowed in any food. No food or drinks in the gym areas. The child’s guardians/parents are responsible for supervising the safety and behavior of the child or children. Balls of Fun is not responsible for ANY injury or for ANY lost or stolen items. Smile, you are on camera! 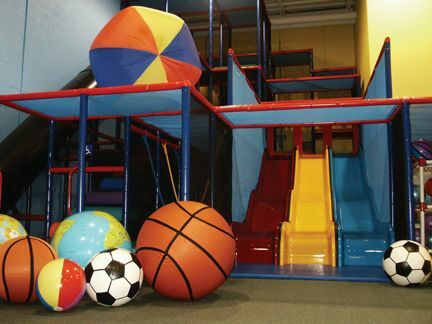 2) Take off your shoes, place socks on your feet (before you enter the facility); then come in to move, move, play! 1) Please CARRY your shoes to the front entrance from the shoe/coat room. This helps to keep our socks and the gym clean for our children. 2) Sign out of the gym, at the front office. Thank you for being active with us! A front office, where we sell nut-free snacks, drinks (including coffee and tea), socks, balloons, and balls.